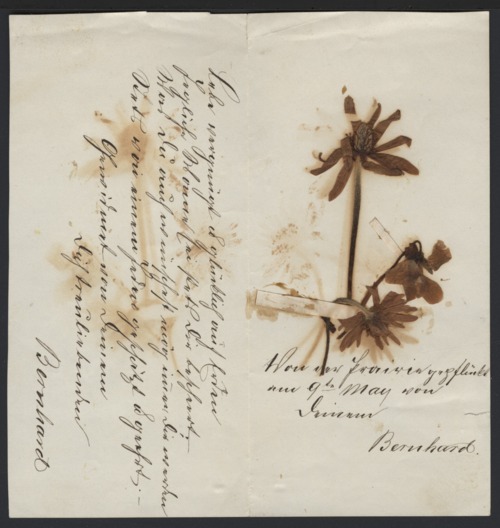 A note written in German by Bernhard Warkentin to Wilhelmina Eisenmayer, his fiance. They were married in 1875. The note contains pressed flowers.